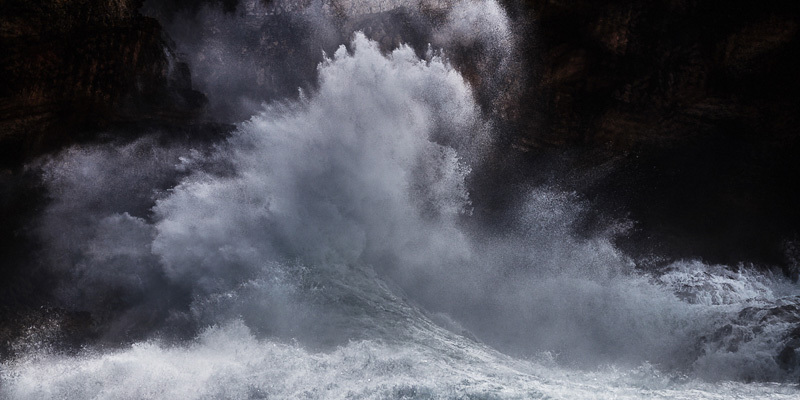 Born in Italy, Alessandro Puccinelli’s close relationship with the ocean began with an early passion for surfing. 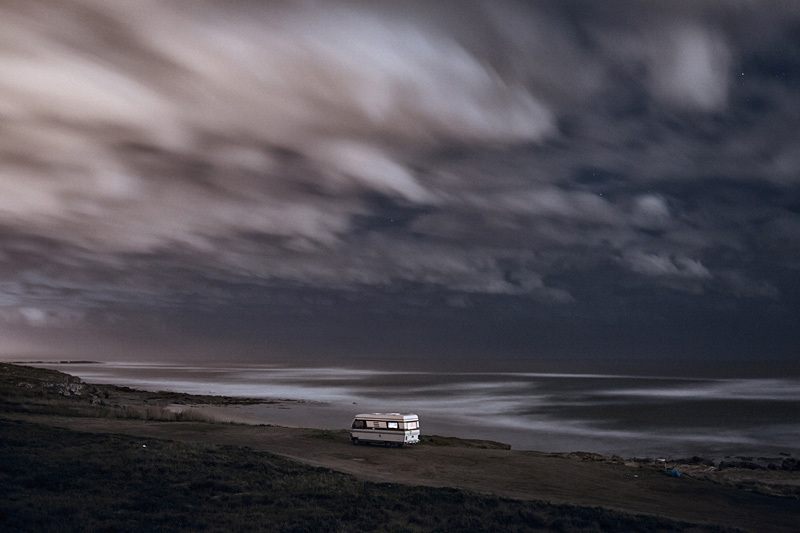 Now, he divides his time between Tuscany, Lisbon, and the large waves off the southern coast of Portugal, where he frequently takes refuge in his motorhome hideaway in search of that intimacy with the ocean. 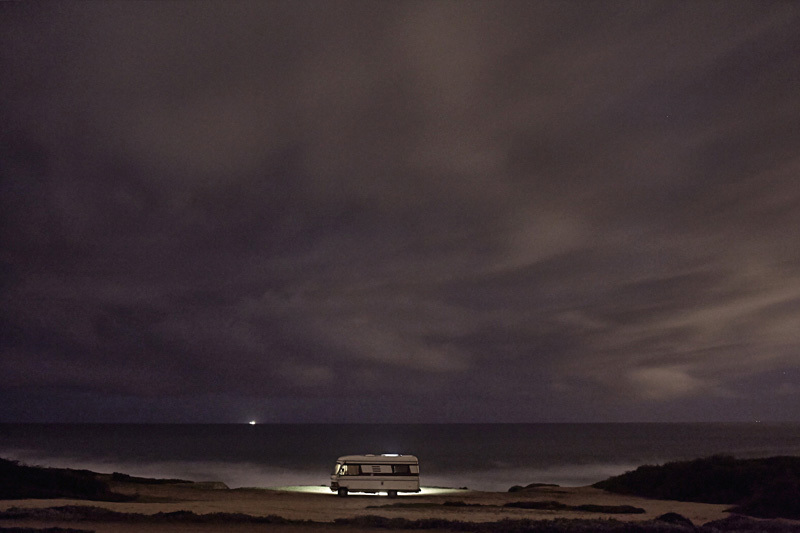 The move to Portugal was motivated by a desire to remain in close contact with the sea, which he considers to always be at the center of his life, along with his professional work as a commercial photographer. Strongly influenced by the work of William Turner, he attempts to encapsulate in his fine art photography, the force, the elegance, the simplicity, and the infinite natural wonder that the ocean offers. 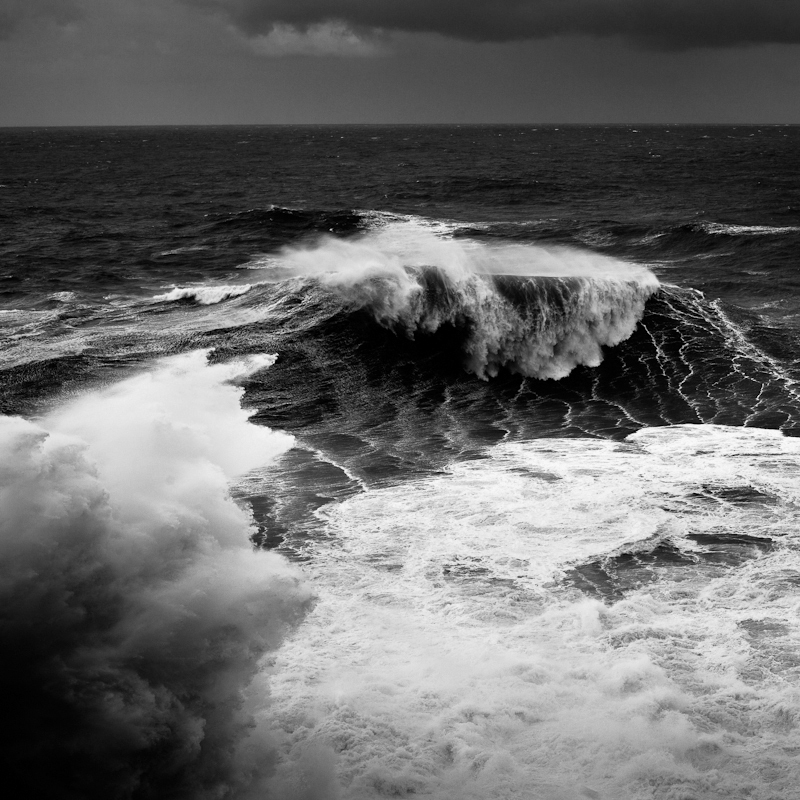 The visual impact and dramatic intensity of the photographs might make us feel insignificant and vulnerable, and perhaps even feel that same sense of awe that is provoked by the power and mystery of the ocean when we look down on the breaking surf from the top of a cliff.